The new Internet Neutrality Rule: Has the FCC Overstepped? 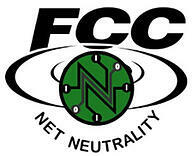 This February 26, 2015 the FCC in a 3 to 2 vote (along party lines) has approved new Internet Service Provider rules. The FCC has tried unsuccessfully to regulate the Internet two earlier times. In their last foray Verizon brought the FCC to court and the 2010 Open Internet law was struck down. So what has the FCC done this time? Well they have included wireless cellular broadband access into the new law. The FCC announced that this proposed Rulemaking had the highest number of citizen comments the FCC has ever received, mostly in favor of the rule. Who in America would not be in favor of a Neutral Internet? Could it be that the rulemaking name was a clever smokescreen to encourage the public to be wildly in favor? Every large ISP in the country is against this rulemaking, and they have stepped up their lobbying to insure that every member of Congress understands they are against the legislation. I have spent my professional IT career designing and deploying Wide Area Networks (WAN) and Local Area Networks (LAN) for some very large clients. In order to insure each network user gets the data presented to them in the time required; a network design architect must have the ability to block, throttle and prioritize traffic within the network. If the network is a LAN or a Broadband network or a cellular wireless network, each user is essentially on a shared multi-drop line. If I have a neighbor operating a successful Basketball bracketing website down the street from me, his unrestricted website will adversely affect my homes ability to get the Internet quality I purchased, because his sites data packets are monopolizing my shared Broadband connection to the Internet. The primary reason ISP’s have been so vocally against the new “Bright Line Rules,” is that the new rules are exactly the tools an ISP needs and uses to insure that there is Internet Neutrality! Why has the FCC seen fit to remove a carrier’s ability to manage and engineer their own networks to insure every User has the same access to the circuit and bandwidth? I suspect there were good intentions, but the public and the FCC have done irreparable damage to the quality of Broadband in the USA. Manufacturers like Cisco Systems have voiced they are against the Open Internet Order CLICK HERE. In Philadelphia I have watched Comcast work hard to insure that low-cost Internet is made available to low income families; if you have a child who is enrolled in National School Lunch Program. CLICK HERE. It would be hard to argue that Broadband Internet is only exclusively available to the well healed. I hope you take the opportunity to follow this Rulemaking as it is surely challenged in the Federal Courts. Please don’t hesitate to learn more about the rulemaking and get involved in the public commenting!